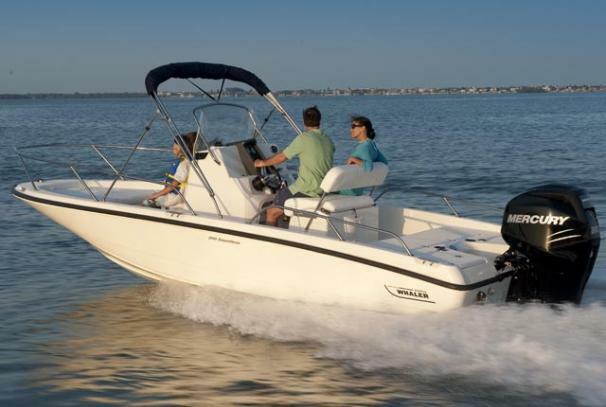 The 200 Dauntless packs a whole lot of boating excitement into a boat that was designed to provide every necessity for a full day of fishing, water sports and cruising. 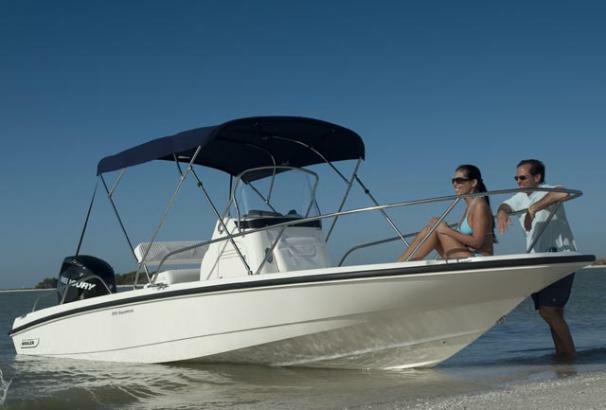 Thanks to the muscle of the standard Mercury 200 XL Verado engine and a huge 75-gallon fuel tank, you'll cover a lot of territory fast. 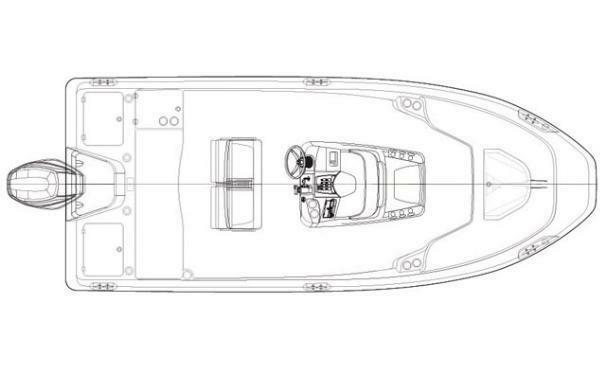 And you'll have a smooth trip with the responsive handling of hydraulic steering and the sure-footed Accutrack hull.The big cockpit lets you work a fish easily from the bow all the way back to the transom, where the stern seat folds down to become a full-width casting platform. 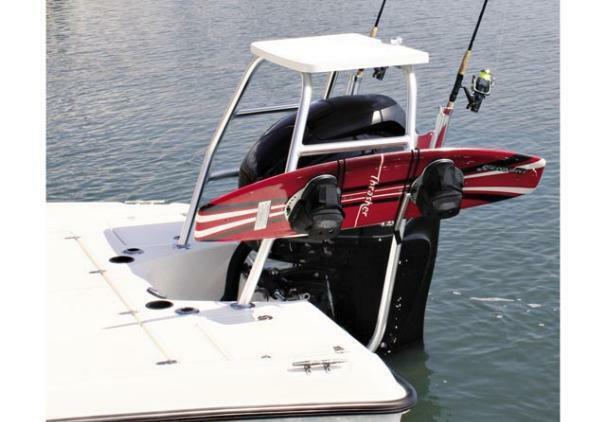 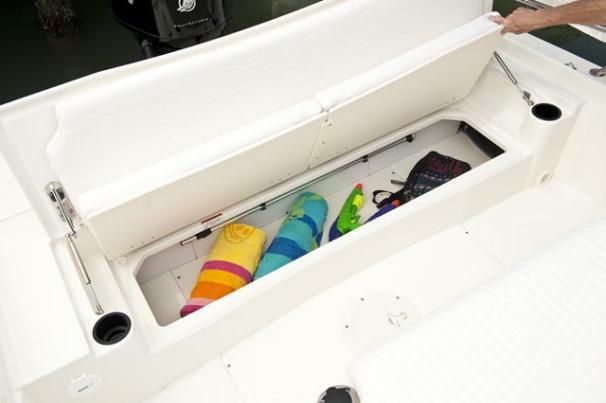 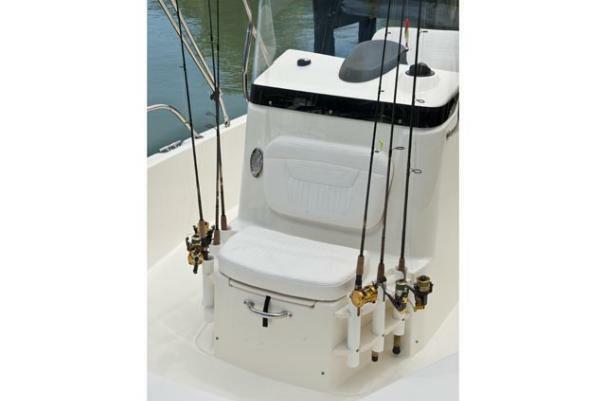 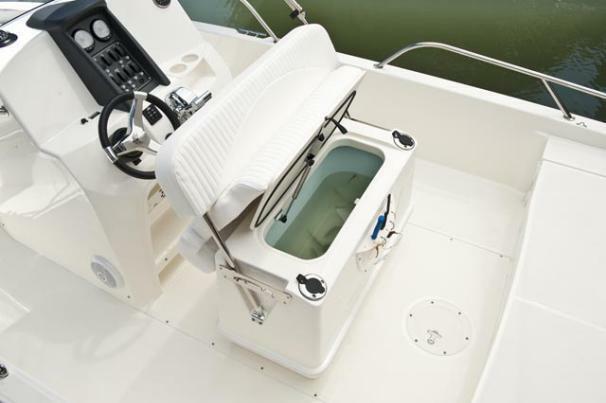 You've got a standard insulated livewell forward of the console, enclosed portable head under the console, strategically-placed rod racks and holders, and ample storage throughout.